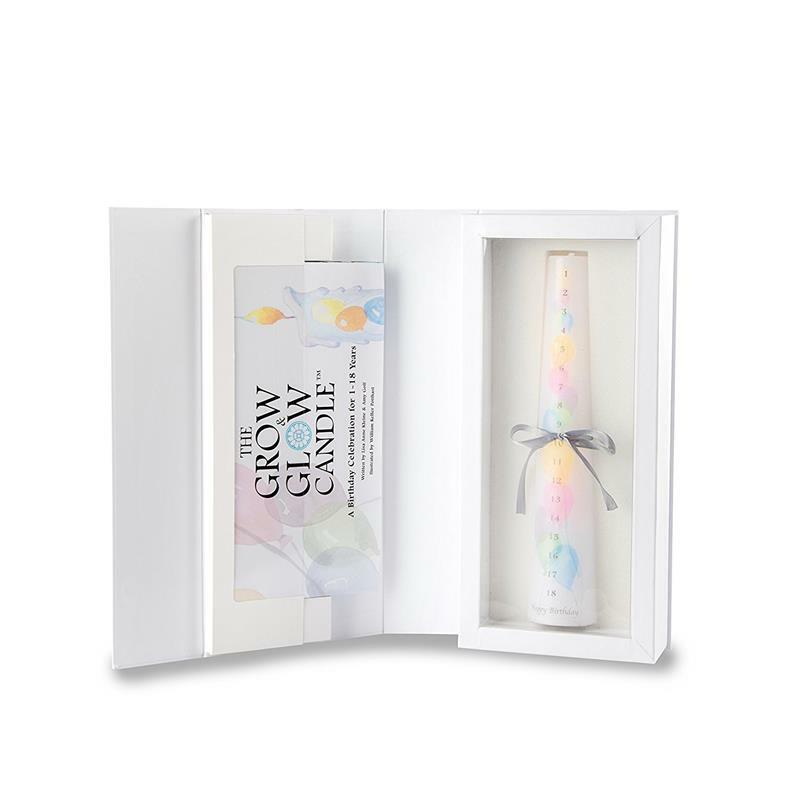 The Grow & Glow Candle® gift set includes a beautiful pillar candle which is decorated with a whimsical, balloon design that you light on each birthday from 1-18 years, and a light hearted, hardcover storybook which walks you through all the milestones of a child’s life. This gift, perfect for a new baby or first birthday, will create a new birthday tradition for the whole family to enjoy, and the durable and gorgeous keepsake box will house your candle year after year. While the candle glows, your child grows, and this celebration creates memories for a lifetime and resonates a message of love and support in all homes.